If you’re fed up of four wheels then taking your CBT test in Walsall is the first step to ditching the car and getting on the bike. At RideTo we’re here to make the process of getting on two wheels as simple and painless as possible, and we have a number of CBT centres in and around Walsall that will get you out on a motorcycle or scooter in no time. SOLO Motorcycle Training are based just off Lincoln Road, so they’ve got good transport connections to the city centre. They’ve been teaching people how to ride motorcycles and scooters for decades and they tailor each CBT to the student, to make sure you get the most out of the day and come away feeling confident. SOLO Motorcycle Training also have another training centre located just of the A41 in Handsworth, Birmingham. Both SOLO locations use our Instant Booking system, which means your CBT will be confirmed as soon as you check out - you won’t have to wait for a confirmation call from the instructor. We also have another three CBT test centres located in and around Birmingham. Black Country Motorcycle Training are based just north of Dudley, and have a combined 20 years experience in the motorcycle industry. Steel Horse Motorcycle Training were established in 2014 and are based in Shard End. 1st Motorcycle Training are based near the A435 and have over 20 years experience conducting CBT courses in the Birmingham area. 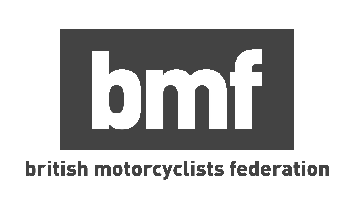 Completing the CBT doesn’t grant you a full motorcycle licence, which means the motorcycles and scooters you will be eligible to ride will be restricted. If you’re 16-years-old, you will only be allowed to ride a motorcycle or scooter with a maximum capacity of 50cc, and a top speed no greater than 30mph. Our advice would be to choose a scooter over a motorcycle if you’re 16. They’re easier to ride, and don’t have a manual gearbox, which can be a pain when your top speed is only 30mph. Once you turn 17, your options open up a bit, and you can ride a motorcycle or scooter with a maximum capacity of 125cc and max power output of 11kW. At this engine capacity, there is not much difference between a motorcycle or scooter - it’s really down to personal preference. If you’re purely going to be using your machine for practical riding - such as commuting - then a scooter will be best as they’re more practical and easier to ride. If, however, the open road is calling you, then a motorcycle will bring you more joy and excitement. Whether you choose a motorcycle or scooter, you’ll have plenty of choice. Scooters range from the slightly smaller sporty and stylish ones, such as Vespas, to much larger maxi-scooters, which are all about comfort and covering big miles. The same goes for motorcycles. There is a huge range of practical 125s aimed at those riding in town, but there is also a good choice of sporty 125s. If you’re a little unsure which motorcycle or scooter to buy after your CBT don’t worry, check out our top motorcycles to ride on a CBT.